The family in 365 Penguins finds a penguin mysteriously delivered to their door every day for a year. At first they’re cute, but with every passing day, the penguins pile up-along with the family’s problems. Feeding, cleaning, and housing the penguins becomes a monumental task. They’re noisy and smelly, and they always hog the bathroom! And who on earth is sending these kwaking critters? 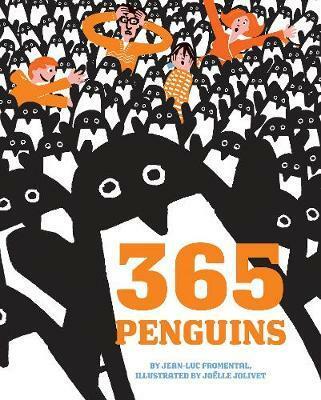 Bright, striking illustrations with lots of opportunity for counting (and lots of laughs), 365 Penguins has become a perennial wintertime favorite.